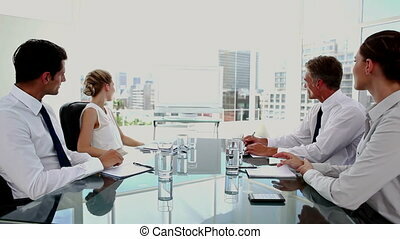 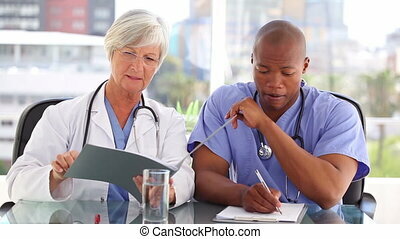 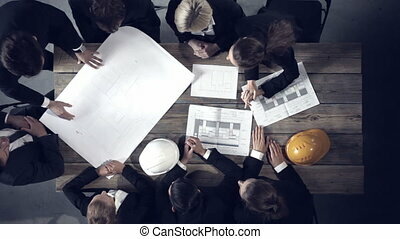 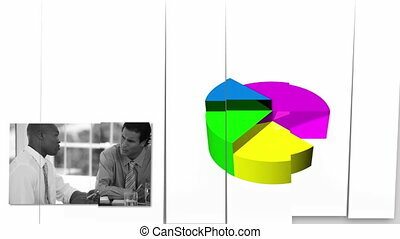 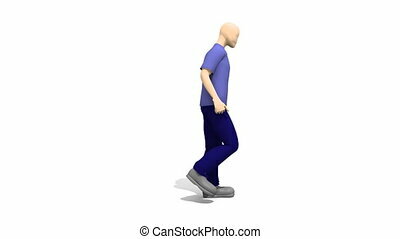 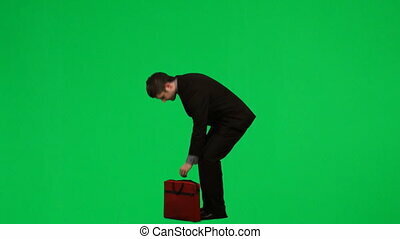 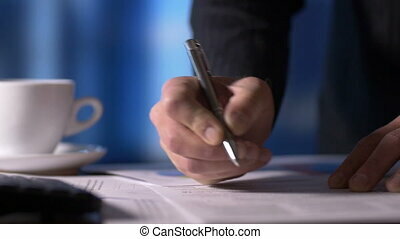 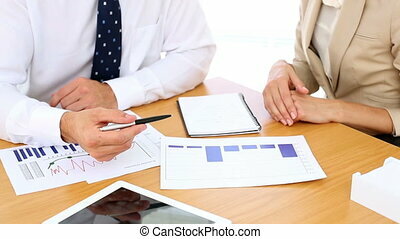 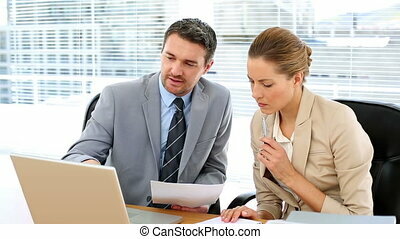 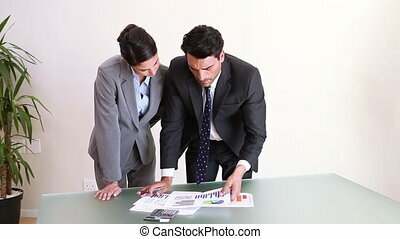 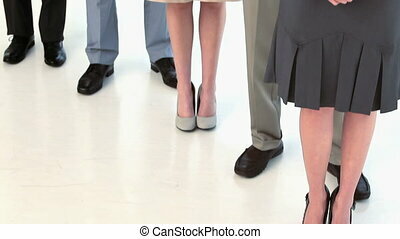 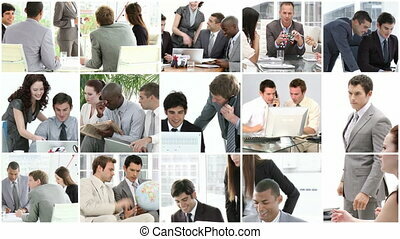 Business team looking at documents together at desk and shaking hands in the office. 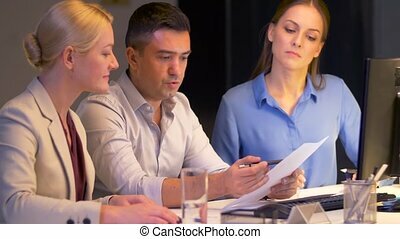 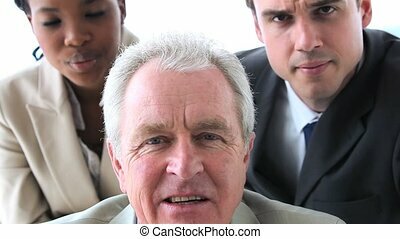 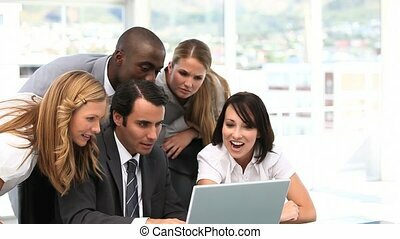 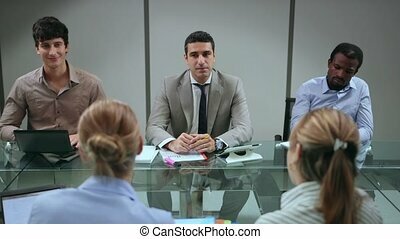 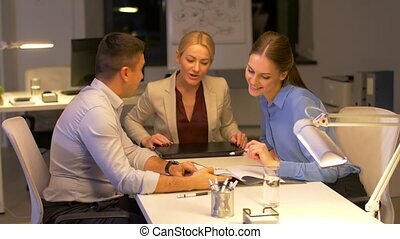 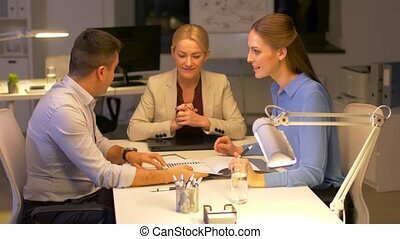 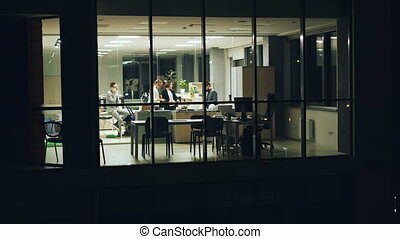 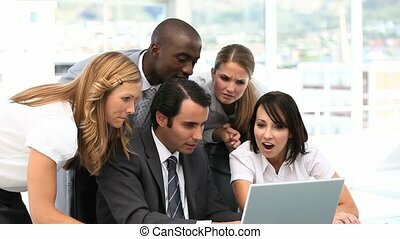 Group of young people business team are working in office late at night talking on mobile phone, discussing job and looking at documents. 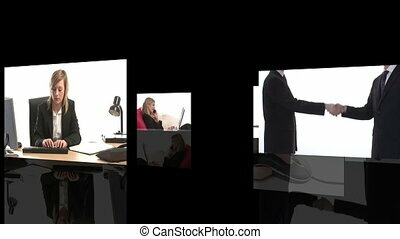 View from outside from panoramic window.